Is It a Smoothie Kind of Day? 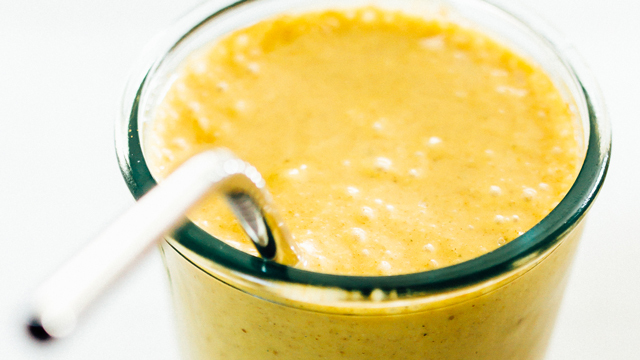 This creamy smoothie is perfect as we transition into fall. It requires only six ingredients, and tastes like liquid pumpkin pie. 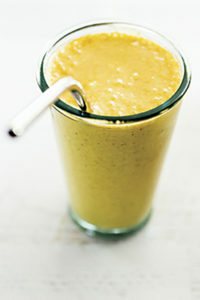 Place all ingredients into a high-powered blender, blend until smooth, and enjoy. Combine frozen blueberries with peanut butter and banana for a protein-packed smoothie that tastes just like your favorite sandwich from childhood! It’s the perfect breakfast smoothie for your kids. 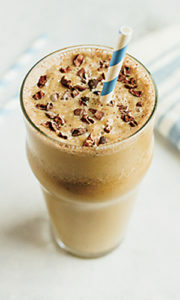 Place all ingredients into a high-powered blender, blend until smooth, and enjoy. Love the flavor of smoothies, but hate how fast you drink them down? 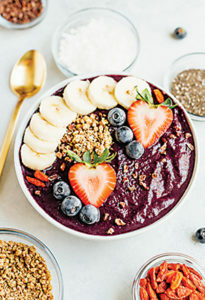 Try a smoothie bowl! Because they’re made a bit thicker, you can eat them with a spoon and add fun toppings for something to chew. 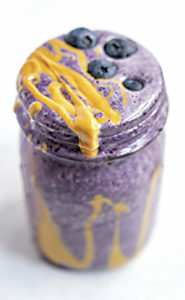 This one uses maqui berry powder, a superfood that’s loaded with inflammation-fighting antioxidants. If you can’t find maqui berry powder, try acai powder instead. Place all ingredients into a high-powered blender, blend until smooth. Add more almond milk if you want the texture to be thinner. Serve in a bowl with your favorite toppings. Next articlePaying For College – A Success Story! 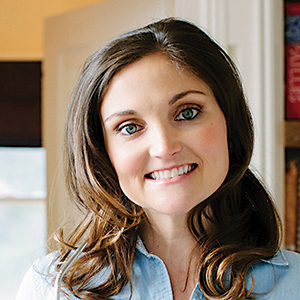 Brittany Mullins is a Richmond native, health coach, and founder of Eating Bird Food, where she shares recipes, workouts, wellness articles, travel adventures, and more. Get inspired to live a healthy, balanced life by connecting with Brittany on Instagram, Facebook, and Pinterest, and on her blog at EatingBirdFood.com.